Whether through marketing campaigns, advanced advertising, or business deals, the main goal of any company is to grow by gaining new customers and retaining existing ones. Many of these strategies can be expensive and do not utilize a company’s best marketing and advertising tools—customers. Frost and Sullivan and other have applauded Jive Communications, Inc.’s successful strategy to promote overall company growth by strengthening their customer support. 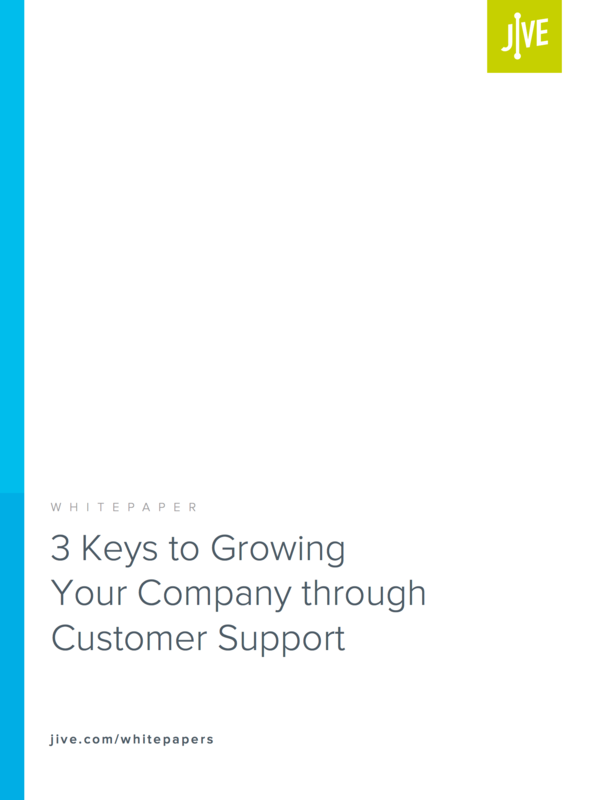 Jive’s support team has maintained a customer retention rate of 98 percent, and this whitepaper will help your support team learn and implement the principles driving Jive’s successful customer support and overall growth. Jive for Higher Ed. Demand for data-driven applications is rapidly compelling colleges and universities to invest heavily in Internet Protocol (IP) networks. 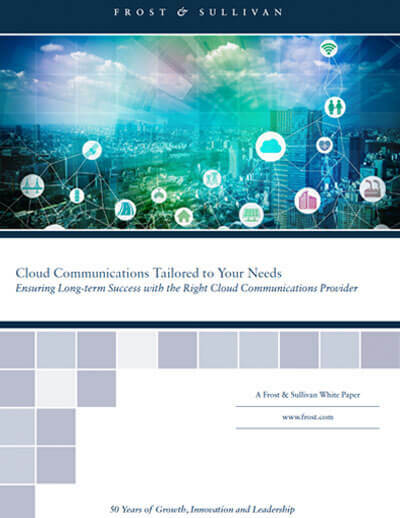 This white paper explains why Higher Education institutions should leverage their technology investment now, moving beyond traditional voice solutions to advanced Cloud UC tools and features. It also outlines Cloud UC’s impact on operating budgets, addresses industry readiness, and highlights the need for realtime communication and collaboration across the entire Higher Education community. Prevailing technology trends are driving businesses like yours to adopt services like cloud phone systems. What trends? The proliferation of personal mobile devices used for work, the rise of the remote workforce, the demand for more detailed data, and the opportunity to jettison expensive on-site infrastructure in favor of streamlined software solutions, to name a few. A cloud-based phone system empowers businesses to harness these developments to raise their companies to greater heights of success. Jive TCO. To fully comprehend the value of making the move to the cloud when it comes to telecommunications, the TCO analysis is a critical tool. As budgets continue to shrink, rigorous TCO analysis is a must for considering telecommunications spend and for bringing all key stakeholders on board with a change. 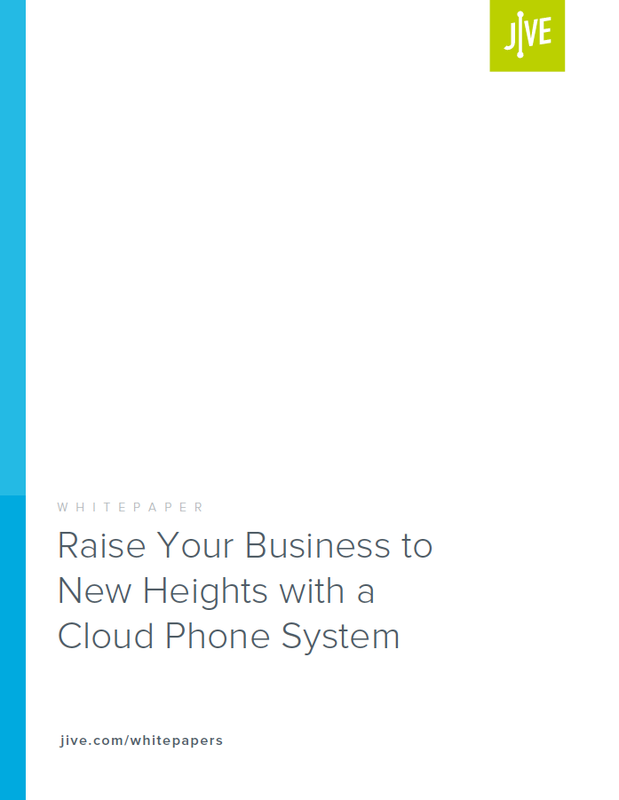 This whitepaper draws on industry analyst research and extensive Jive experience to paint an accurate picture of the total cost of ownership of Cloud-based systems vs. on-premises (both VoIP and legacy) systems. Jive’s signature Total Cost of Ownership Analysis tool is also discussed and examples are given. It’s tempting to use tried-and-true strategies and technologies to maintain district communications. The trouble is, you have to hope nothing upsets the status quo. But this approach denies that the changing landscape of K–12 telecom funding has already changed everything. 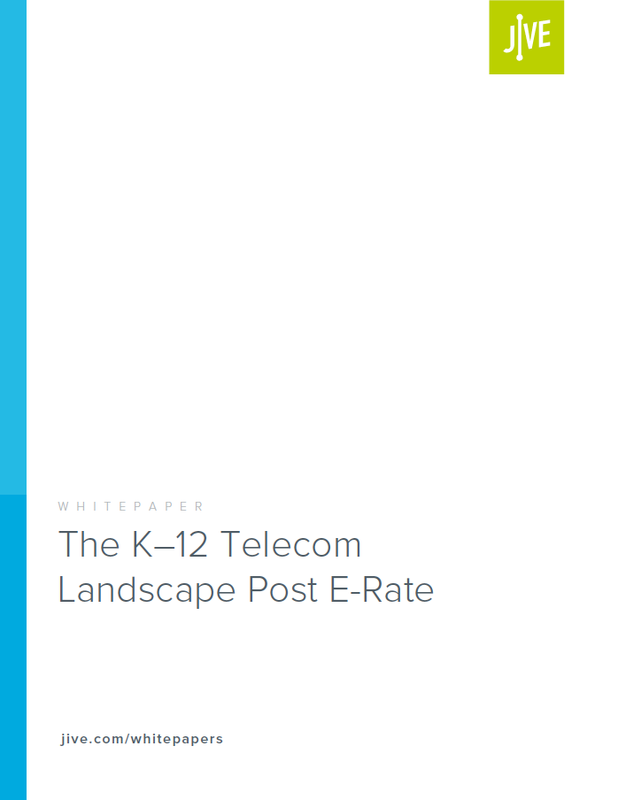 This whitepaper discusses the new solutions called for by the changes to the telecom funding landscape. Jive Cloud. 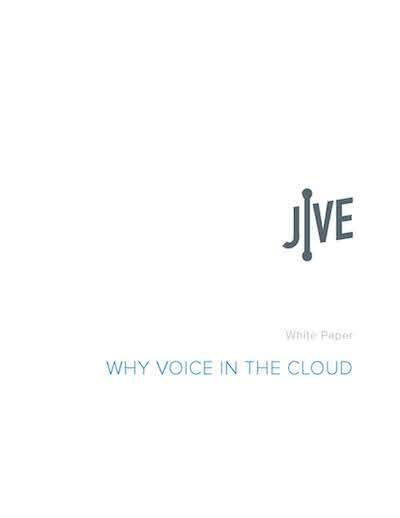 Lower cost is the principal benefit of choosing a Cloud voice solution, with greater reliability and enhanced productivity close behind. This white paper outlines the value presented by Cloud voice, distinguishing the differences in Cloud vs. On-Premises systems in terms of lower cost, greater reliability, and enhanced productivity.